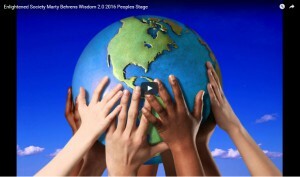 The San Francisco Shambhala community is aiming to share the message of Enlightened Society at the upcoming Wisdom 2.0 conference. The community has entered a video submission in an attempt to spread their message with a wider audience. The annual conference, which takes place in February, focuses on living in a way that is not only connected by technology but also beneficial to one’s personal well-being whilst maintaining our effectiveness and usefulness to the world. This is an image of the Enlightened Society video submission by SF Shambhala. 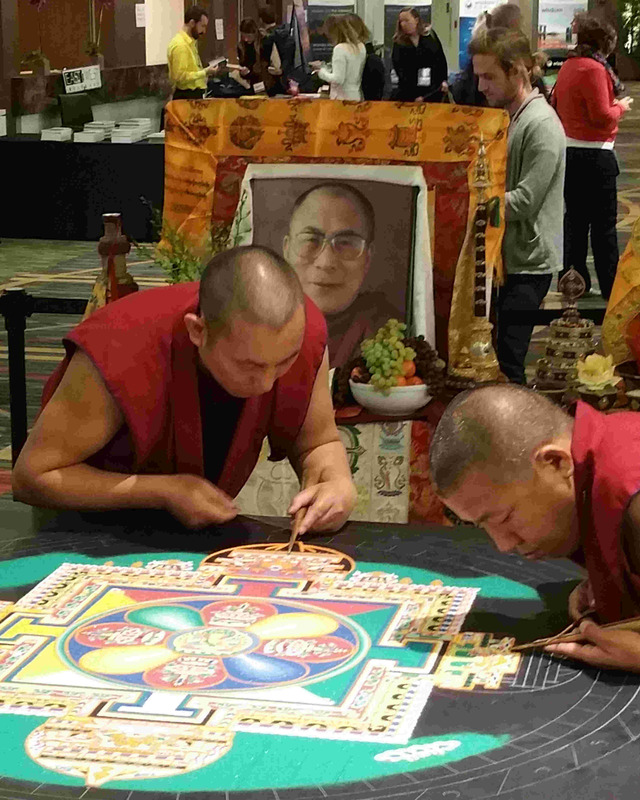 Members of the San Francisco Shambhala community have submitted their idea to perform a lung reading of the Sakyong’s Treatise on Enlightened Society on the Wisdom 2.0 People’s Stage. Following this will be a discussion led by senior meditation leaders from the San Francisco Shambhala community. The combined reading and discussion aims to offer the Wisdom 2.0 audience members a path to see how confidence in our own basic human goodness can be developed through the practice of meditation. The message will in turn help to educate and inspire the audience toward a shared realization of Enlightened Society. Wisdom 2.0 is a conversation about the merging of wisdom and technology that is held in San Francisco every year. The Conference features thought leaders from the worlds of technology, business and spirituality. It is an event in which participants can learn about burgeoning movements to bring more compassion and wisdom to our modern world. Next year’s event is set to attract 2,400 people from 20 countries to San Francisco. With such a large and diverse audience in attendance it is not difficult to see why the San Francisco Shambhala community is so eager to share the Enlightened Society message at this gathering. 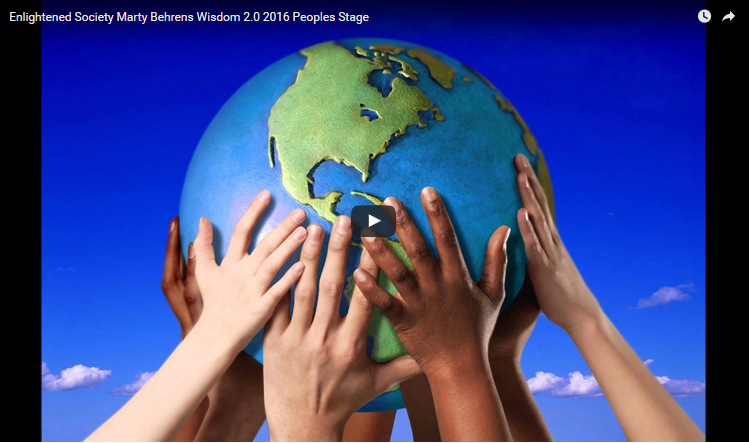 The People’s Stage is a key aspect of the Wisdom 2.0 conference. The People’s Stage involves presentations in which presenters can share their work, insights, and presentations with the Wisdom 2.0 community. To be eligible to go on stage, hopeful presenters must go through a submission and voting process which began last Monday. This question aims to spark another deeper level of awakening, to ultimately shift people’s orientation from ‘me’ to ‘we’. This helps to create an awareness of society’s basic goodness, the knowledge of which becomes a source of strength and clarity as well as motivation for those in attendance to become even more ‘awake’ and engaged in the world. You can help – go to the links at the end of the article and add your vote! The San Francisco Shambhala community sincerely hopes that they will be able to spread this message of Enlightened Society within the Wisdom 2.0 community. However, for this to become a reality, their submission must first receive sufficient votes. Fortunately, the first round of voting is open to the public – so the international Shambhala community can make a difference. With around 100 submissions hoping to ultimately reach the People’s Stage, there is some stiff competition. Therefore, the San Francisco community requests that Shambhalians from near and far help to vote the Shambhala video through to the semi-final round of voting. The submissions themselves are video-base,d and you can see the one-minute Enlightened Society submission here. If you too feel passionate about spreading the message of enlightened society to Wisdom 2.0, or just wish to support Shambhala San Francisco and would like to vote, please follow the simple steps below. (3) go to the video here where you can do as it says, “Vote for this video”: “Enlightened Society: How can we make it possible?”. The website is indicating that I can’t give them a username without registering first. So it seems I can’t vote without registering for the conference. Please review instructions and send them again. Thanks. I also don’t seem to find a link for the video itself. The link to register is for the voting – they want to be sure people at least register for the voting! The link here is only for the voting – it is not for the conference registration – that is completely separate. Is the video closed captioned?